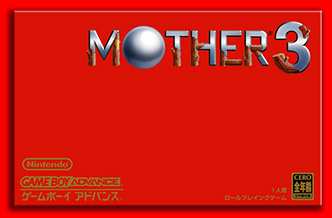 This is the third game in the cult Mother series and, honestly, is one of the best games ever published by Nintendo. The sad news is that it has never been officially released in English, which means that you won’t be able to properly appreciate it without either finding a fan translation (and there is a very good one) or being able to read Japanese. The story follows the lives of a family (parents Flint and Hinawa and two kids, Lucas and Claus) who live in Tamzily Village in the Nowhere Islands. I shan’t spoil what happens (and it’s hard to describe any of the plot without revealing anything important) but they soon find themselves caught up in something quite big, all of them being affected in very different ways. It’s a really fantastic story which is both surreal and deeply emotional and one of the best I’ve ever encountered in a video game. What’s particularly noteworthy about this game is the fact that it’s evoked both some of the biggest laughs I’ve ever had from a game but it’s also the saddest video game I have ever played. Once or twice, I actually I avoided playing it because I thought it might be too much of a downer. But you never know what’s going to happen: sometimes you’ll play and find yourself laughing hard at it’s bizarre humour. What helps to really emphasise those emotions, is the fact that this game has a truly superb soundtrack. There are so many musical tracks in Mother 3 which are so beautifully melancholy – just hearing them triggers the sad association in my mind with the upsetting events of the game. It’s one of those games where the soundtrack is so good that I go back to listen to it whenever I can. 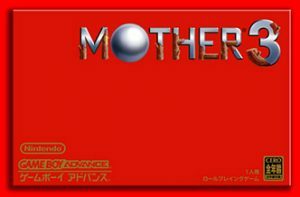 If you’ve not played any of the earlier Mother games, you’ve got nothing to worry about; while there are small connections to the previous title, the story is basically a strong, standalone thing. If you do get the references though, it will help you to appreciate the game even more. I realise I’ve gotten to the end of this review without really mentioning the gameplay! It’s a solid RPG with a colourful, vibrant world to discover. I really like the somewhat minimalistic art style of Mother games, it’s just kind of cute and fits perfectly with the style of story. Sadly, it’s through the gameplay that we come to the one weak point of the game: there are a few times when the regular enemies seem far too strong – it’s never unmanageable, but occasionally frustrating.